(Bend, Ore.) – Governor Kitzhaber today touted new job creation, education and economic development plans to local business leaders with Bend Economic Development for Central Oregon. The Governor also toured Kialoa Paddles which manufactures a full line of carbon fiber and hand-crafted wood paddles for outrigger and dragon boat racing. “Kialoa Paddles is a good example of a small Oregon business working with a state agency to help grow their business. They are building more products and selling their goods not just locally but internationally too,” said Governor John Kitzhaber. Kialoa Paddles is one of hundreds of small businesses that have received assistance from the state’s economic development agency, Business Oregon. Business Oregon connects local businesses to resources such as innovative research at Oregon’s universities and capital necessary to create jobs and grow businesses. 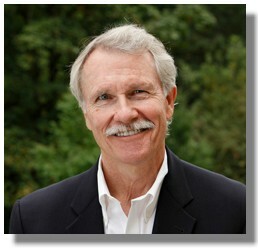 “I will continue to aggressively pursue a range of economic development policies and priorities from workforce development to strategic investment in innovation and clean technologies that will be important to getting Oregonians back to work,” said Governor Kitzhaber. The Governor is also pursuing a transformation of state education and health care delivery which he says is critical in aligning state revenue and expenditures and meeting economic objectives. “We can do better, but to succeed, we must do this together; respecting each other and restoring our sense of community,” said Governor Kitzhaber.